Education: BSc, Chemistry, University of Calgary, 1964 PhD, Computer Science, University of Glasgow, 1968 Main Employment: 1968-1970 Assistant Professor, Mathematics, University of Calgary 1970-1973 Chairman, Division of Computing Science, University of Calgary 1978-1981 Associate Professor and Dean, Faculty of Science, University of Calgary 1985-1997 Professor, Department of Computer Science, University of Calgary 1997-present	Professor Emeritus of Computer Science, University of Calgary 2001-2005	Head Curator, Computer History Museum Visiting Appointments: 1973	University of St. Andrews 1981-1982	University of California, Chico 1986	Historian/Curator of Computers, National Museum of American History, Smithsonian Major Professional Service: Assistant Editor-in Chief, IEEE Annals of the History of Computing, 1987- 995 Editor-in-Chief, IEEE Annals of the History Computing, 1996â€“1999 Member, IFIP Working Group on the History of Computing, 1992 Member, IEEE History Committee, 1991-1995 and 2009-2010 (Chair in 1994, 1995, 2010) Member, IEEE Computer Society History Committee, 1996-2000 (Chair 1998-2000) Editor-in-Chief, IEEE Computer Society Press, 2001-2004 Member, IEEE Computer Society Board of Governors, 2002-2008 (various offices) President, IEEE Computer Society, 2006 Division Director and Member of IEEE Board of Directors, 2010 Has also served as editor or consultant to Computing Reviews, Charles Babbage Institute, MIT Press History of Computing Series, Alberta Provincial Museum, CBC, Time-Life Books Major Honors: C. C. Gottlieb Award, 1990 IEEE Computer Society Meritorious Service Award, 1999 Honorary DSc, University of Glasgow, 2005 Publications: Author, Co-Author, Editor or Co-Editor of 11 books, including A History of Computing Technology (two editions) Author or Co-Author of over 30 refereed articles and numerous reviews, columns, conference papers, lectures, and exhibits President (2007) IEEE Computer Society, Professor Emeritus University of Calgary, graduated in 1964 with a BSc in Chemistry from the University of Alberta and in 1968 he obtained a PhD in Computer Science from the University of Glasgow. In 1969 he joined the University of Calgary, first in the Department of Mathematics then as a Professor of Computer Science. It was while working at Glasgow that he acquired an interest in the history of computing, something which has developed over the years into his main research and teaching interest. He has participated in the publishing of 11 books, 92 articles, 58 technical reviews and 72 invited lectures and has been involved in the creation of 10 different radio, television, and museum productions. During his career he has had the opportunity to work for extended periods at several different universities, and at the National Museum of American History (Smithsonian Institution), and as Head Curator at the Computer History Museum in Mountain View California. 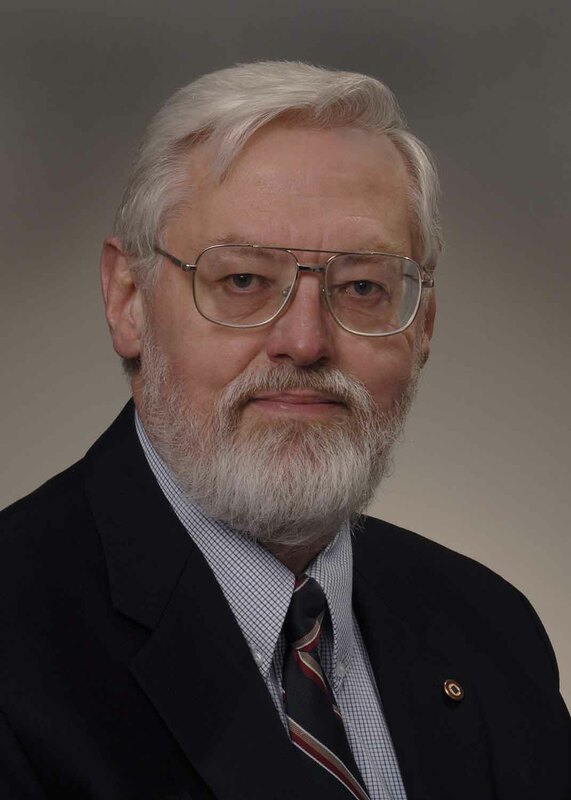 Besides his work as Editor-in-Chief for the journal The Annals of the History of Computing, he has worked closely with the IEEE History Committee (serving as its chairman in 1994 and 1995), the IEEE History Center, is past President of the IEEE Computer Society, (serving as its President in 2007), serves as a member of many different committees of the IEEE and is a member of editorial boards concerned with publishing material in the area of the history of computing. A pioneer in the history of computing who is --unusually--a computer scientist himself, Prof Dr. Williams has published books and articles, taught, curated museum exhibits, and promoted professional activity in the field.